Ted Lamar Sowell, age 55, resident of Collierville, Tennessee and husband of Robbie Darnell Sowell, departed this life Sunday evening, March 17, 2019 at his residence. A gathering of family members and friends of Mr. Sowell was from 1 to 4 P.M. Saturday, March 23, 2019 at the Collierville VFW Post located at 327 S. Center Street. Arrangements were provided by Peebles Fayette County Funeral Homes & Cremation Center – Main Chapel in Somerville. Ted was born December 22, 1963 in Batesville, Mississippi, the son of Harvey and Linda Hudson Sowell. He received his education in Sardis, Mississippi and was a plumber for many years. He was married January 13, 1989 to the former Robbie Darnell and loved the time he spent with his family, especially his granddaughter. 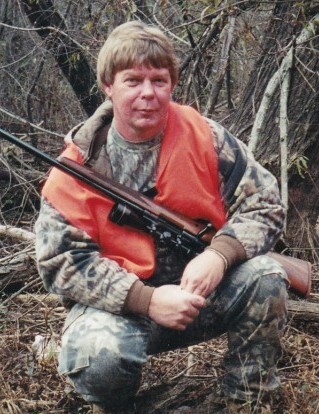 Ted enjoyed being outdoors, hunting, fishing and riding four-wheelers. Mr. Sowell is survived by his wife of 30 years, Robbie Darnell Sowell of Collierville, TN; his daughter, Shannon Williams (Josiah) of Collierville, TN; his parents, Harvey and Linda Sowell of Byhalia, MS; his brother, Roger Wayne Sowell of Byhalia, MS; his granddaughter, Georgia Kate Williams; and his nephew, Joseph Sowell.